When England achieved a rare series win in India in 2012, MS Dhoni said Anderson had been the difference between the two teams. 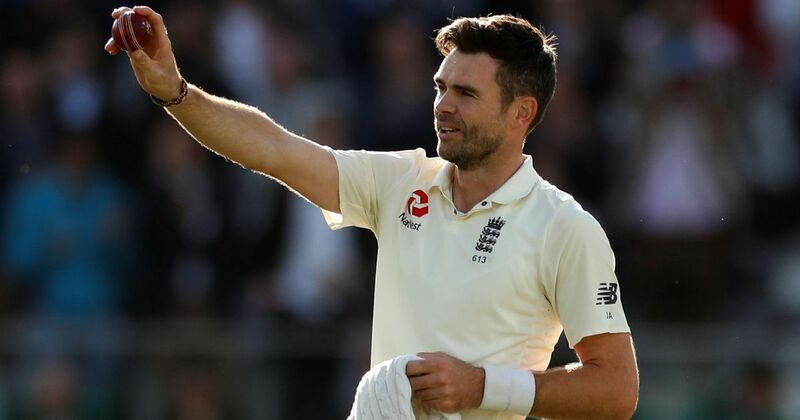 James Anderson became the latest England paceman to make history at the Oval on Tuesday by setting a new record for the most wickets taken by any fast bowler in Test history. After Fred Trueman became the first bowler to take 300 Test wickets, a then astounding figure, at the same ground in 1964, he was asked whether he thought anyone would ever break his record. If anyone had cause to sympathise with those sentiments it was England’s Anderson who, 54 years later at the Oval, took his 564th wicket at this level when, with the hosts needing one more to win, he bowled India tailender Mohammed Shami to seal a 118-run victory in the fifth Test and a 4-1 series win. In the process, the 36-year-old Anderson, in his 143rd Test, snapped the record he briefly shared with Australia’s Glenn McGrath. The most successful quick bowler in the history of Test cricket... ladies & gentlemen, James Anderson! What Trueman could not have foreseen was the increase in the number of Test nations and matches that would take place in the intervening years. But nothing should detract from Lancashire paceman Anderson’s endurance or skill. He burst on the scene as a 20-year-old when, after just three one-day games for Lancashire, he was summoned to Australia for a one-day international series. Anderson made his England debut in Melbourne, taking a modest one for 46 in six overs. But he improved on the tour and won himself a place in England’s squad for the 2003 World Cup. Anderson impressed sufficiently to make his Test debut at Lord’s in 2003 and went on to take 26 wickets at an average of 31 in seven Tests that season against Zimbabwe and South Africa. But his form wavered and for a time Anderson found himself reduced to bowling at cones during England practice sessions. He was on the outside looking in as England, under the captaincy of Michael Vaughan, assembled the pace attack of Stephen Harmison, Matthew Hoggard, Andrew Flintoff and Simon Jones that would help them win the celebrated 2005 Ashes series. His distinctive action was subjected to some unwelcome interference from coaches concerned over a potential risk of injury. As it was, Anderson suffered a stress fracture of the back which saw him miss most of the 2006 season. But he was back for England’s miserable 5-0 Ashes series loss in Australia in 2006/07, taking just five wickets at an average of 82.60. In the eyes of some critics that series damned Anderson forever as a bowler who thrived in home, swing-friendly conditions. But he learnt from that chastening experience and, while not alone in preferring home comforts, an overseas record of 174 wickets at 34.15 in 54 Tests is far from negligible. A softly spoken character off the field, Anderson made a conscious effort to develop a more aggressive persona of ‘Jimmy’ when taking the new ball against the world’s best batsmen. A key moment in his career came in 2008 when, after a 189-run defeat by New Zealand in the first Test in Hamilton, then-England coach Peter Moores dropped Hoggard and Harmison and gave Anderson the new ball for the Wellington Test. Anderson took five wickets in the first innings and was then the unchallenged leader of England’s attack, a position he has held ever since. He went on to play a key role in England’s only Ashes triumph in Australia in the past three decades, taking 24 wickets at 26 during their 3-1 success in 2010/2011. And when, in 2012, England achieved a rare series win in India, MS Dhoni said Anderson had been the difference between the two teams. 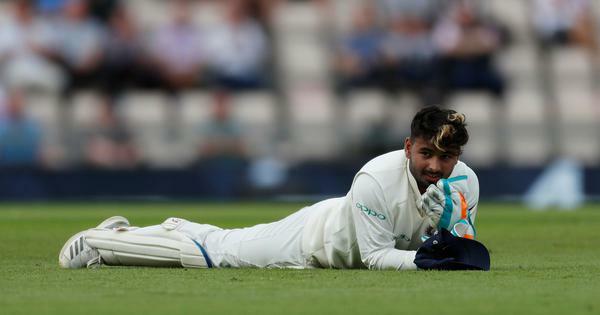 By now he had formed a highly effective new-ball partnership with Stuart Broad, whose ability to seam the ball complements Anderson’s skill in gaining late swing through the air. Anderson, England’s all-time leading Test wicket-taker, is three years older than Alastair Cook, the country’s all-time leading run-scorer, who is retiring from international cricket, with the opener saying he had “nothing left in the tank”. But Anderson, who no longer plays one-day cricket, shows no sign of stopping. And while Sri Lanka off-spinner Muttiah Muralitharan’s all-time mark of 800 Test wickets may prove too much even for Anderson, McGrath believes he could establish a record beyond the reach of any other paceman. “I have an awful lot of respect for Jimmy,” McGrath told Britain’s Daily Mail in a recent interview.